Owning a gun is a privilege and getting one doesn’t give you the right to shoot at anything and anytime you want. There is a law that governs gun owners or even before you can own or register a firearm. 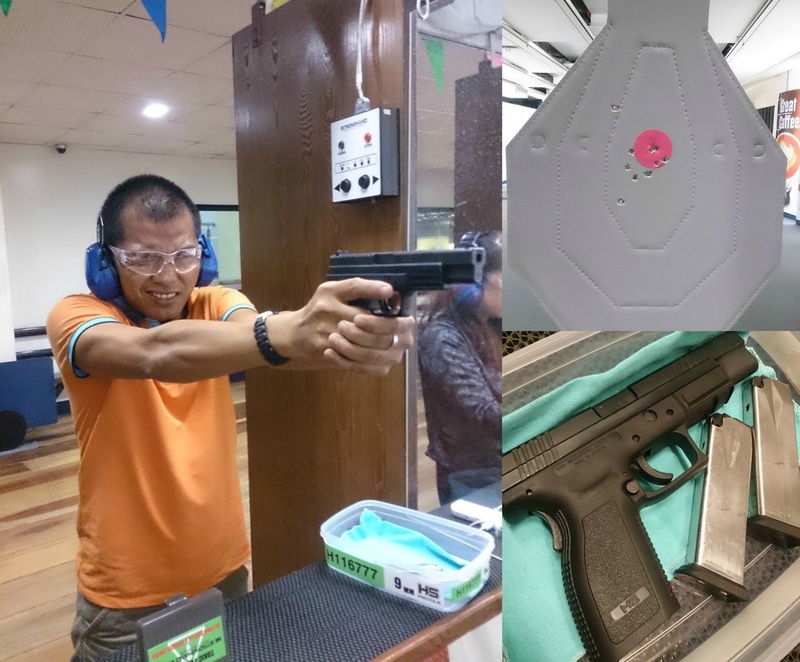 So, when the opportunity came where I could really learn how to shoot through a Pistol Course at the Stronghand Shooting Range, I never had a second thought and grabbed the opportunity. But before we were handed a gun, the course requires us to attend a seminar about the safety and responsibility of a gun owner. In this course we were introduced to the bible of gun that every shooter and gun owner must remember by heart. 2. Never let the muzzle of the gun pointed at anything you do not intend to shoot. 3. Keep your finger off the trigger unless you are ready to fire. 4. Be sure of your target and what lies beyond and around it before you shoot. 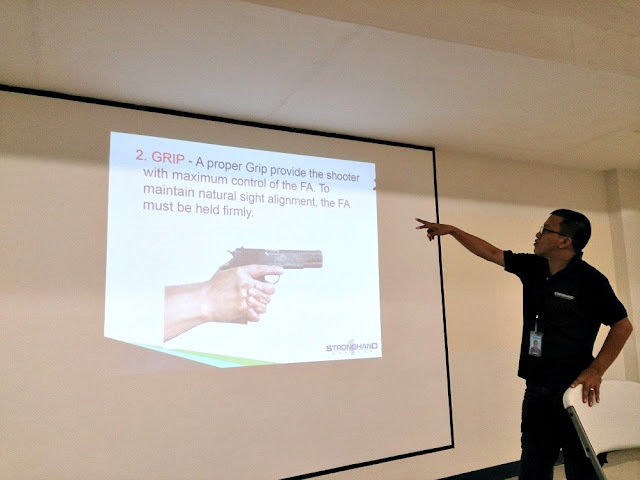 We were also reminded of a few things about the stance or posture, the common arm style in handling a gun (in my case I am used to weaver style), the proper amount of grip, the control of the breath, and the most important thing is the sight alignment to hit the target perfectly. When we finished the course that took at least an hour, we were directed to the shooting range where we were given with earmuff and eye protector. Locker per shooter is assigned to secure bags and valuables. Each of us was given 20 pieces of 9mm bullets and an HS firearm with two magazines. The targets were set at 5 and 10 meters. It was a nerve-bracking experience for the first time users but as you hit your first 5 gunshot rounds, everything became smooth and easy. 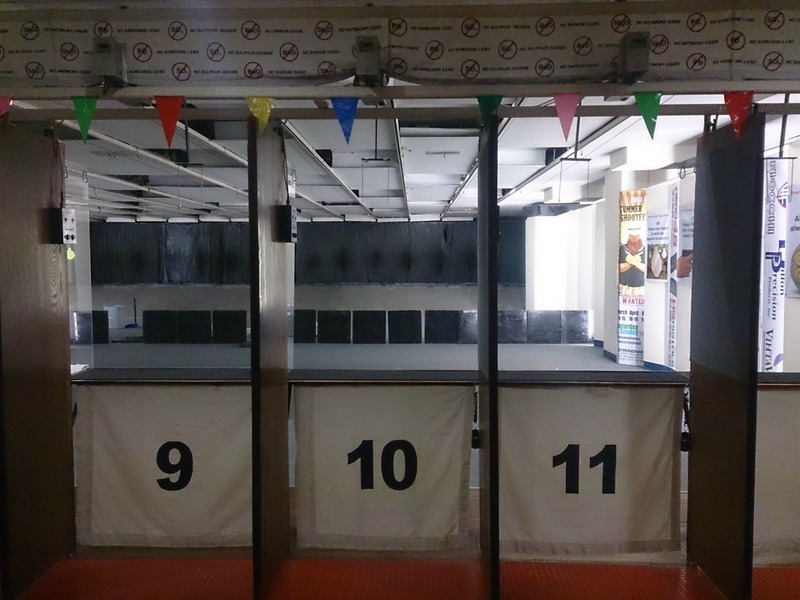 At the end of the practice shooting I and even my group were surprised that I most of my hits were in the alpha zone of the target board. What an achievement! Unlike the other indoor shooting range, Stronghand is a toxic-free environment as the facility is equipped with HEPA filter and there is a turbine air exchanger. The ammo catered to us is also toxic-free and they strictly implement ‘no egos allowed” policy within the vicinity. 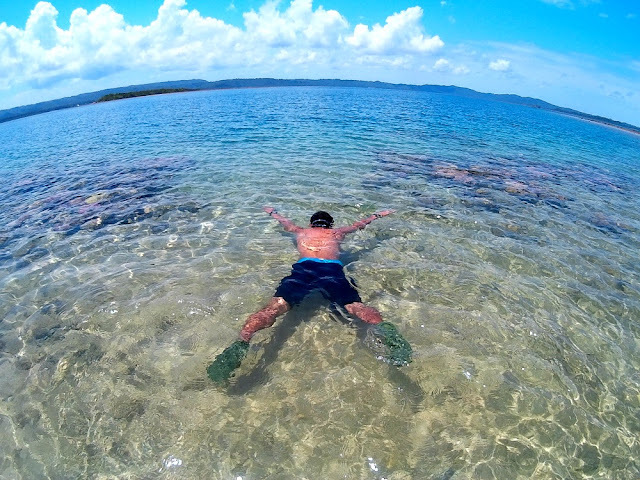 Staff are friendly and there is no need for you to give extra tips to the to the instructor just to get a special treatment or attention. 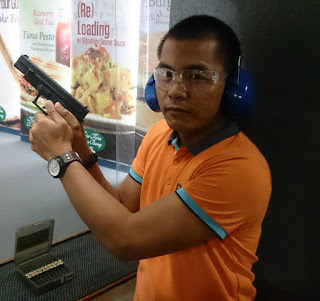 As I talked to the range officer, Sir Randy, he mentioned that he is proud being part of this family-friendly shooting range that promotes total safety and comfortable facility for all types of clients. And if you are not a fun of guns and just like to be behind the scene of the shooting adventure of your friends or simply waiting for your turn, a coffee shop fronting the 180 degree viewing window would be a perfect place to sip some cold or hot beverages and energize you with some snacks. Location: La Defense Building 1660 E. Rodriguez Sr. Ave., Cubao QC.